Fred had another heli-adventure this weekend as he was traveling to Reno to accept an award celebrating his fundraising efforts for ALS (we think…he was very quiet about the details. Unfortunately, it was not the good kind. 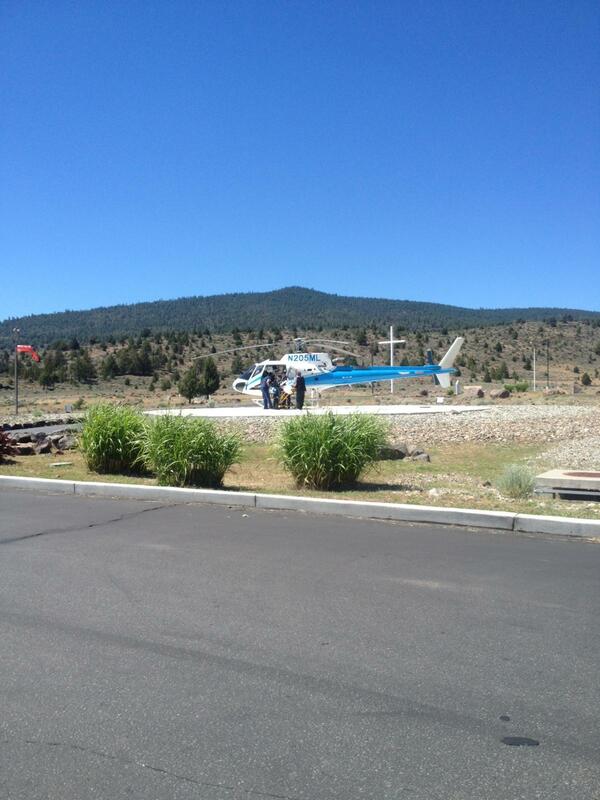 This helicopter took him to Renown Hospital in Reno NV because of a bout of pneumonia and a fever of 104. Tonight he is sedated, on a respirator, as the medical team works to get his fever down and allow the antibiotics to do their work. Friends, Fred is using all his might to overcome adversity tonight. He has been very modest about the difficulties he faces every day, all day because if this terrible disease, but the truth is that this time of his life is very painful and frustrating. Which makes his amazing positive attitude all the more remarkable. While Fred is not a praying man, I know he’d appreciate it if you all took him into your hearts tonight. He needs as much positive energy as we can send him. We don’t know what to expect for his recovery in the next few days, but we do know he is “hard to kill,” as he’s fond of saying. In his mind, he’s taking on yet another wild slope, so lets send him some sweet dreams and healing energy. 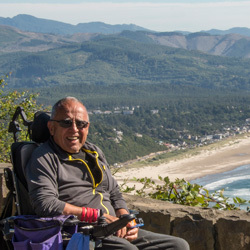 Fred was on his way to Reno to accept the Far West Ski Association’s Jimmie Heuga Award for his amazing ability to deal with his illness and inspire so many people through his involvement with Ski to Defeat ALS. The award is presented annually at the FWSA Convention and Awards Banquet. As the presenter of the FWSA awards Saturday night I relayed to all in attendance what had happened to Fred on his way to be with us. We showed a video trailer from a documentary about Fred and I recited from the citation about Fred for the award. Many people came up to me on Sunday and asked how Fred was doing. Information about the Jimmie Heuga Award is available on the FWSA website at http://www.fwsa.org under the Awards/Service tab. Fred’s citation will be posted to the FWSA website soon. Fred, your friends in FWSA hope you get out of ICU and the hospital soon so we can see your smiling face back at home in Portland. Steve. Sending love and prayers to Fred from the Peterson Family in Colorado!